As the old saying goes, we are what we eat. The same can be said for the chicken. 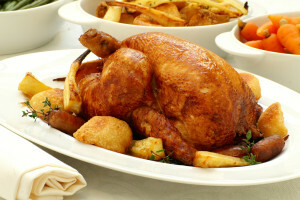 If you feed them a diet rich in nutrients and minerals which are good for humans then we get chicken with the proper composition we need for healthy bodies. 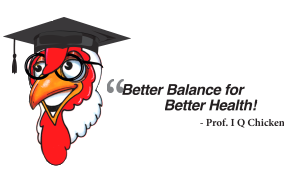 IQ Chickens come from hens fed a natural diet that is so special it is patented. This diet allows them to produce broilers that are rich in Omega-3 unsaturated fats along with the protein, vitamins and minerals found in regular eggs. Research shows that Omega-3 should be a vital ingredient in a healthy diet. Omega-3 can't be "manufactured" by the body, so it must accessed from our food. Unfortunately, we do not eat enough of it. 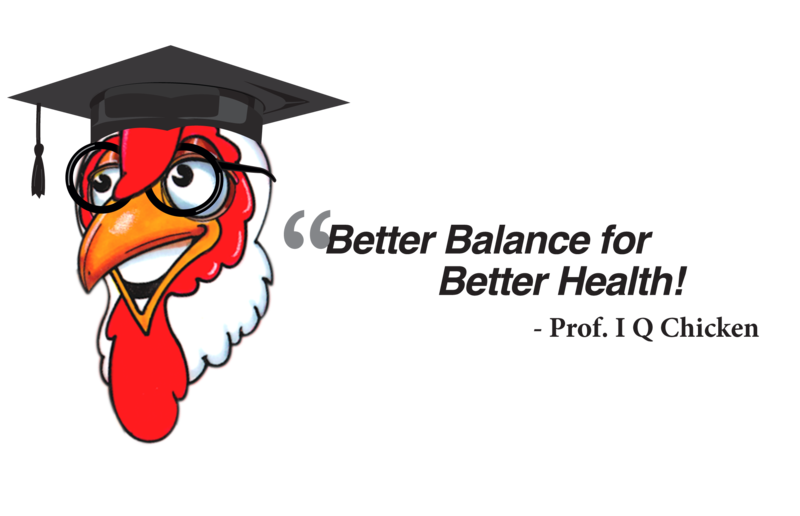 The formula for IQ Chicken was designed by Belovo, a company with expertise in developing health oriented food ingredients, oils and egg based powders.In developing IQ Chicken, Belovo researched nutrition and the human and animal diet, both historic and contemporary. The natural diet of the ancestors of our modern chicken was far more varied, including an extended range of seeds, pulses and green vegetation. This diet yielded meats with a better nutrient content and a much better balance of essential fatty acids. Currently, many other broilers are fed primarily wheat and soya. This results in meats that are much lower in Omega-3 than Omega-6 fatty acids, and does nothing to adjust the shortage of Omega-3 that is widespread in Western diets. Most geneticists and nutrition experts believe that the ideal ratio of Omega-6 to Omega-3 essential fatty acids in humans should be 1:1. Unfortunately, in most developed countries that is now 20:1 or often 30:1. This is due in large measure to the increased processing of our foods and the desire to get greater yields faster. IQ Chicken wants to do our part in redressing this imbalance. Because our chicken feed mimics the natural diet of fowl and chicken centuries ago, it has an increased concentration of Omega03 which yields chicken meat with a 2:1 Omega-6 to Omega-3 ration. Most conventional chicken is at 24:1!